Pastry at our corner store. Note this was not a famous bakery, nor was it located in a fancy part of town. One of the first things I noticed in Paris was the fashion. I was disappointed. Lots of earth tones and grey, boring shapes – it all seemed drab, especially in contrast to the food. Each patisserie was riddled with brightly colored fruit, gold leaf garnishes, shiny apricot glaze and marzipan twisted into all manner of creatures. Every set of sweets we purchased was wrapped up in pretty paper, no matter how little we spent. 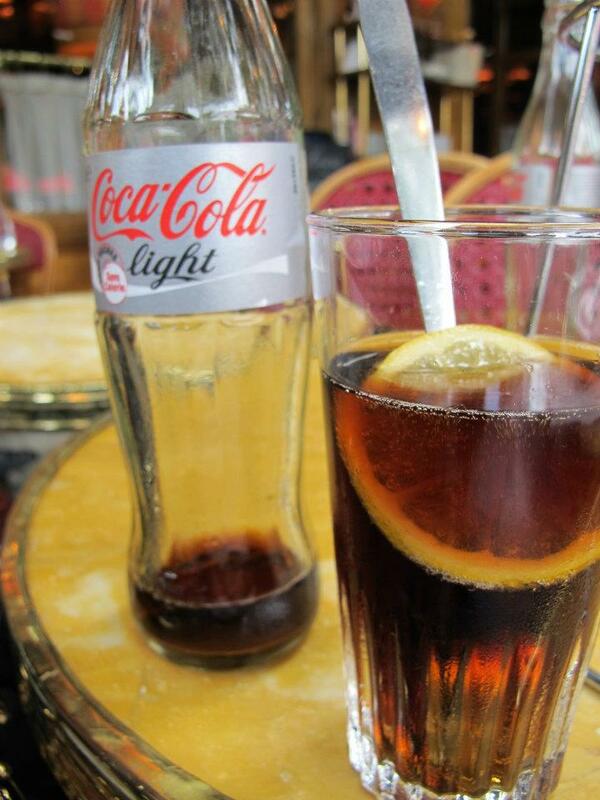 Even the Coke Light was presented – everywhere – with a glass bottle, iced tumbler, lemon wedge, and spoon. I had expected that the croissants would be amazing, and they were. My favorite, filled with almond paste, was unfortunately the least available, but I still managed to find and eat four of them. Pain au chocolat (chocolate croissants) were a close second. Unlike breakfast pastries in the states, these were not super sweet – the chocolate and almond were used sparingly, more a decoration than a filling. 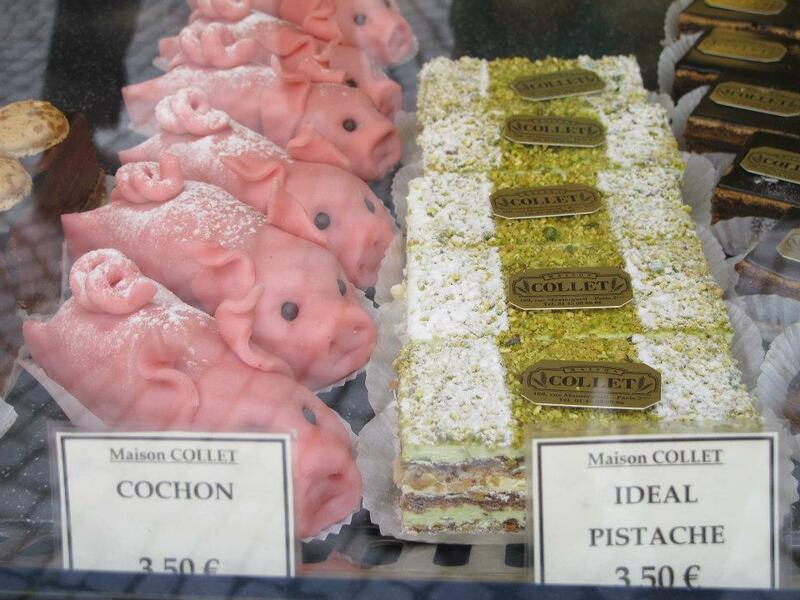 I was surprised to learn that eclairs – thinner and smaller in Paris – were extremely popular. The pate a choux was more dense than we’re used to, and the filling was either chocolate or coffee, not the typical custard. The tarte de pommes (apple tart) was a staple, fresh with crisp, slightly tart fruit. 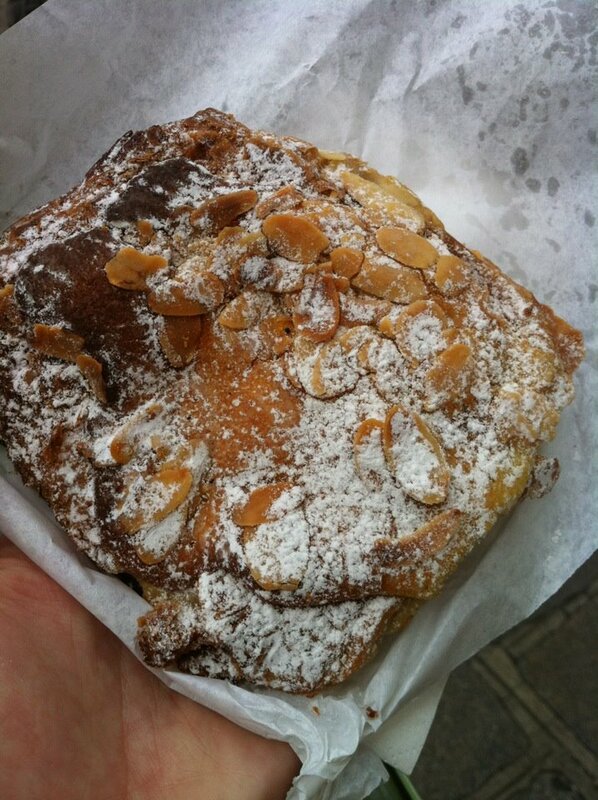 The mille feuille was crunchy and creamy, with delicate flavors. And the cakes were fluffy and topped with raspberries, no matter what the flavor. Yeah, we ate a lot of sweets. I sort of hated them once I figured this out. But I still loved the pastries. Little piggies from Stohrer bakery. even diet coke is prettier in Paris.